To boost your performance, Solution B.I provides you with it's expertise in Jedox. Created in 2002, Jedox is a publisher of business intelligence. Our BI consultants implement this simple and innovative tool, within reach of your users, to restore all of your company’s data. It enables your teams to easily build complex reports in an “Excel-like” interface. 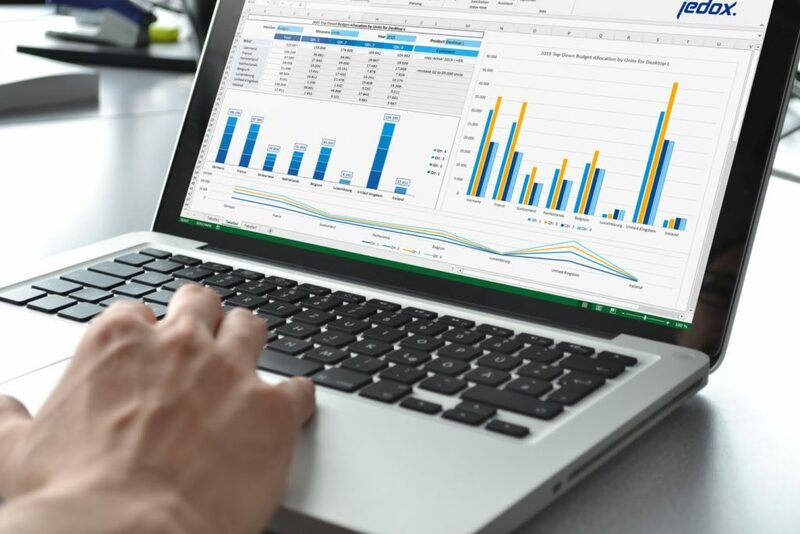 This ergonomic proximity to the Excel tool is a real asset for use by your teams, who will have all the advantages of an advanced solution combined with a familiarity of use. This suite puts the emphasis on users, making it possible to manage large volumes of data and obtain dashboards that are searchable on the go (smartphone, tablet) and disseminate them to all of your employees. Its readability and practicality make it a tool that we recommend to effectively manage your performance. From a technical point of view, Jedox offers an ETL to automate the extraction of heterogeneous data as well as advanced features of entry in the cube, which is ideal for budget development. The solution is ideal for a large number of departments: Finance (from financial reporting to business planning), Management (overview of indicators related to employees and their activity), Sales (planning, forecasting, sales analysis), or even Purchasing (supply indicators). Finally, the Marketing services will also find key tools for tracking the unfolding and ROI of their campaigns.